Everyone makes mistakes. Whether you are charged with a felony or misdemeanor DUI, as even a DWAI, this is a serious matter with long term consequences. You will require the services of an attorney experienced in this side of the legal system and its processes. DUI lawyers in Loveland, Colorado may not have the volume of DUI cases as cities like Denver, but they are just as experienced. When you enlist the aid of a Colorado Defense Lawyer from Ores Law, they will not only support you legally during these processes, but they understand the stress to which these and related charges (such as DUI, DWAI, DWI, DEAC, DUID) give rise. They’ll help you get through it. Our extensive experience with people and with their personal legal matters means that you’ll always be getting our best, so that you can put these issues behind you as soon as possible. Call us now: 970-461-0754. Some traffic infractions represent minor inconvenience, a small fine, and perhaps a visit to court. Other more serious violations may result in the loss of driving privileges, higher insurance rates or even a temporary license suspension. 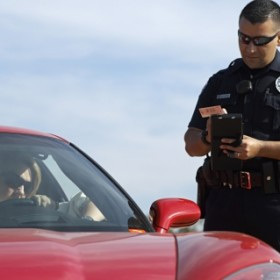 Ores Law in Loveland are thoroughly familiar with the statutes relating to traffic violations in Colorado, we can discuss with you how they can impact you, and how to most effectively address any violation in this area of law. As a rule, Individuals charged with felonies potentially face sentences ranging from 1 year to many years in state penitentiaries. Some criminal charges carry mandatory jail or prison sentences. Still, this is not a foregone conclusion. Depending upon the charges, in many cases it is very possible that prison time may be set aside in favor of probation or some other disposition appropriate for the facts of the case. Every case and defense is different, and you should always contact an experienced attorney as soon as you are charged with any crime. Misdemeanor and petty offenses are criminal charges; some of which may carry the possibility of jail, as well as fines, court costs, and other conditions. Misdemeanors are less serious crimes than felonies, but can still involve the possibility of substantial jail (not prison) time. There are three classes of misdemeanors, in descending levels of seriousness, and carrying decreasing levels of fines and potential jail time. Ores Law can evaluate your charges and determine the best strategy for representing you if you are charged with a misdemeanor.